Injuries have plagued the Nashville Predators as of late. Sitting on injured reserve are forwards Gabriel Bourque, Paul Gaustad and Miikka Salomaki with upper-body injuries, which has forced the Predators to re-call players from their AHL affiliate the Milwaukee Admirals. Viktor Arvidsson and Colton Sissons are having the pleasure of NHL life, and Tuesday, the Predators extended an invitation to Cody Bass. Bass, 28, has four assists and a team-leading 45 penalty minutes in 19 games with Milwaukee. He has played in 49 career NHL games with the Ottawa Senators and Columbus Blue Jackets, tallying five points (two goals, three assists) and 71 penalty minutes. Nashville signed Bass to a one-year contract in July. 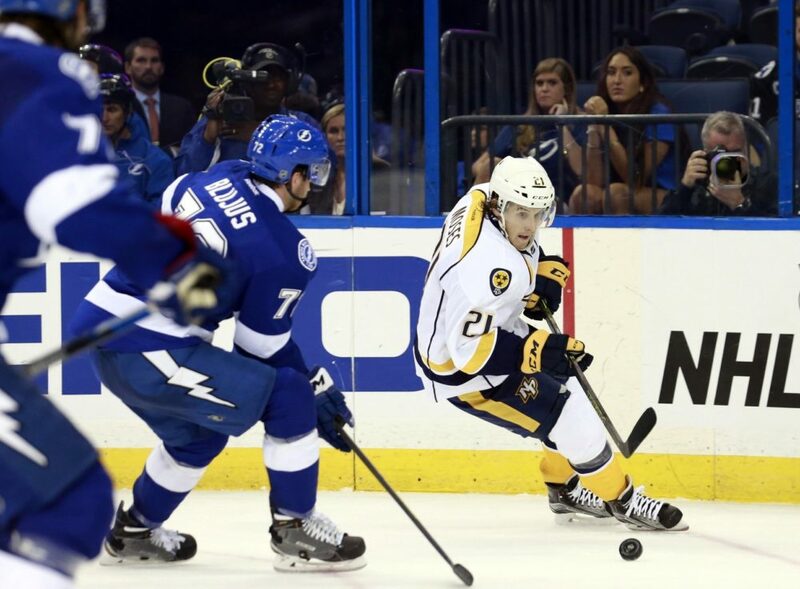 Bass’ re-call comes before two of Nashville’s most highly anticipated prospects Kevin Fiala and Steve Moses have been called up this season. If you were to tell me this before the season began, I would call you insane. However, the move is not as surprising as you would think. Fiala has only six points (1g, 5a) in 15 games this season. The 19-year-old was suspended two games for flipping off the Lake Erie Monsters’ bench following an altercation on Nov. 11. He was also benched in a 3-0 win on Nov. 5 versus the Iowa Wild and was a healthy scratch the next game in a 3-1 win against Lake Erie on Nov. 6. The World Junior Championship begins on Dec. 26 in Finland, and since Fiala is still eligible to represent Switzerland, it may be good for him to get away to refresh his mind. Moses has seven points (2g, 5a) in 15 games so far. 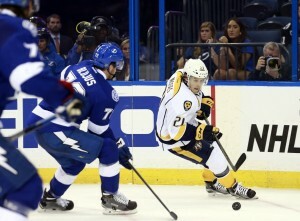 Like Fiala, Moses has had to be disciplined, as well. On Nov. 5, the right-winger was scratched for being late to a practice. His stint in the AHL has been far lengthier than anyone could have expected. As the season progresses, it would be hard to imagine Fiala nor Moses do not get called up by the Predators. Though their performances have been underwhelming so far, it is important to realize they are not busts. It is still too early to say.